In case you don’t already know, Nerf Blaster is a toy gun made by Hasbro that fires foam darts, discs, or, in some cases, foam balls. Like laser tag or archery tag, Nerf Blaster battle lets you feel the adrenaline rush as you and your teammates strategize, navigate the course, negotiate obstacles, and most importantly, do battle against your ‘opponents’. 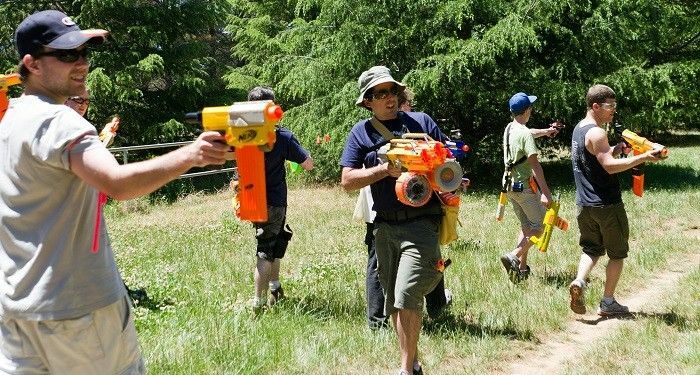 - 90-minute Nerf Blaster battle session. - 2 Nerf Blasters and unlimited ammunition per person. - Light refreshments.Facilitation as well as secret admiration and matching by certified dating practitioners. Blaster Empire started on 24th March 2016 when two Nerf enthusiasts decided to take the gadget play to a whole new level. Blaster Empire aims to bring the adrenaline of firefights and a battlefield complete with barricades, blasters and darts to your door step.